First and foremost, I would like to apologize for any inconvenience and stress resulting from the manner of communication provided by our Customer Service agent. All of our calls are recorded so I appreciate your comments as we were able use the call as a valuable learning exercise. As the fastest growing travel company in the world, we sometimes fall short of our goal, however we are constantly looking to improve. Above all else, providing excellent customer service is our main goal and all of our customer service agents are highly-trained and qualified. All of our special promotional packages are subsidized up to 77% by the participating resorts, and it is the resort who sets forth the eligibility requirements for these promotional packages. In your particular case, you would have saved over $500 in exchange for your 90-120 minutes of your time. 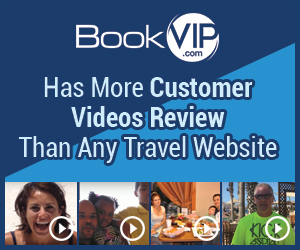 The Terms and Conditions governing every vacation package (including the requirement to attend a presentation) can be found at the bottom of each hotel offering page on BookVIP’s website. The Terms and Conditions are printed in a normal font and are easy to understand. I booked an online reservation for 4 days/3 night suite at The Grandview at Las Vegas for $219. However, when I called to confirm the representative misquoted the offer (obviously reading the script for Thursday and not the one that I booked for Wednesday) then RUDELY stated that my reservation would be canceled since I am not traveling with my spouse and hung up in my face as I tried to clarify if this was due to a timeshare presentation requirement which was not advertised. Review #775067 is a subjective opinion of Mimmy2016.